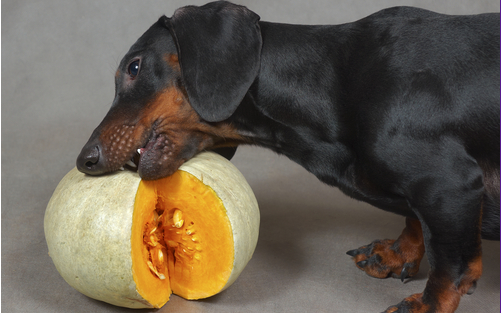 Extraordinary Dogs: 10 Fruits & Vegetables That Dogs Absolutely Love! 2. Spinach - not only is spinach high in iron, but it is also contains calcium for bone health. Spinach also contains anti-inflammatory/anti-cancer properties by way of flavonoids and carotenoids. 3. Pumpkin - baked fresh or canned, dogs lick their chops when this tasty treat comes in their direction. Pumpkin is also the go to aid for problematic digestion. It works for constipation AND diarrhea. 4. Green Beans - added fiber and crunchiness, green beans also offer a plethora of vitamin nutrition. They are a low calorie filler for dogs who like to eat between meals, but are watching their figure. 5. Watermelon - chock full of the antioxidant lycopene, watermelons are mild enough for most dogs to eat. In addition to the nutrient packed goodness, the juiciness is enough to add a little extra hydration on a hot day. 6. Cantaloupe - these yummy treats are mild, easy to digest for most dogs and pack a vitamin punch. Full of beta carotene, studies have shown that beta carotene may reduce and prevent the growth of cataracts. 7. 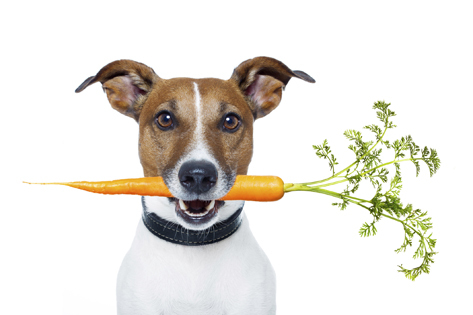 Carrots - not only are carrots a filling treat for overweight dogs on a “diet” but they also are good for oral hygiene. Carrots naturally clean and polish teeth. 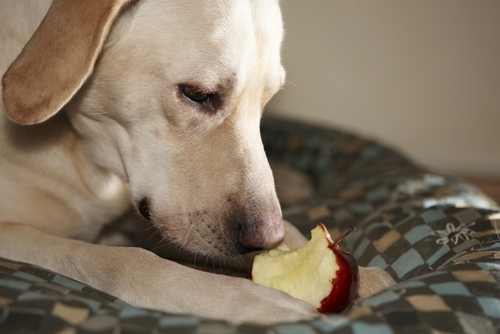 Have a chewer at home? Toss them a carrot to keep them from eating a favorite pair of shoes. 8. Blueberries - given as an occasional rare treat, these little blue balls of antioxidants have been popping up in commercial dog foods in the past few years. Blueberries provide the same health benefits for both dogs and owners. 9. Pears - this heart healthy treat is high in dietary fiber. 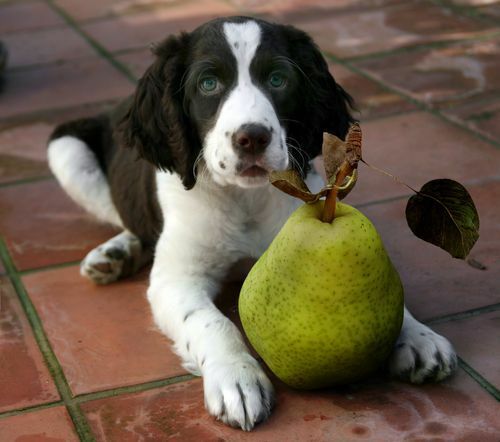 Pears are sweet, juicy and most dogs enjoy the taste and texture. 10. Sweet Potato - these holiday favorites should been treats all year round. Sweet potatoes contain high amounts of amino acids, which are good for strong lean muscles and enhances antioxidant properties. Good Job. Helpful list! Thanks for taking time to share such a great food for my pet dog. High fiber dog food has helped my pets in staying fit and active over the years, and I am having no problems with their health, which is a good sign.